Basic shapes in minimalist simple glaze. 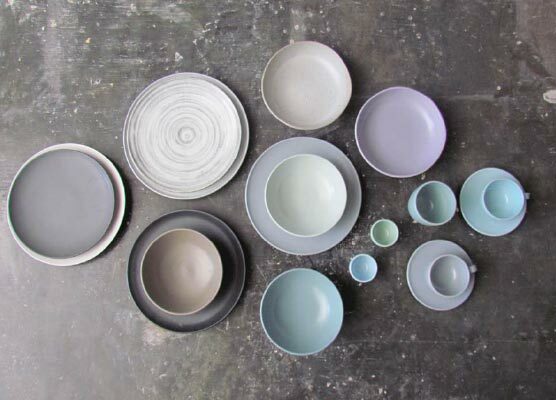 These combinations create a funky and colourful but yet minimalist presentation to the range. Mar SIlver is a modern luxury tastemaker who creates sophisticated, sensual, and serene homes for clients. highlights the natural, organic energy in a space and brings the outdoors inside whenever possible. The result is a masterful mix of luxurious designs that are stylish and chic, with a twist of the unexpected.